Cloud-based application security offering that mitigates security risks for web, cloud and mobile applications. 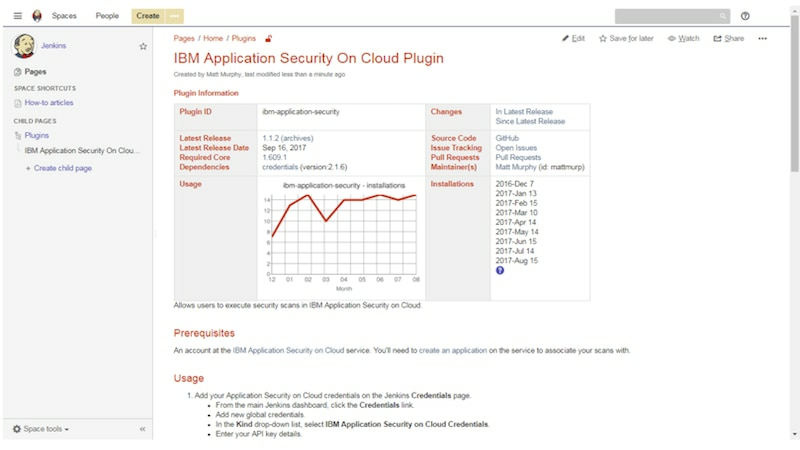 IBM Application Security on Cloud is a cloud app security offering that helps secure your organization's Web, cloud, mobile, and other applications. It detects dozens of today's most pervasive security vulnerabilities and enhances your application security. IBM Application Security on Cloud helps to eliminate vulnerabilities from applications before they are placed into production and deployed. 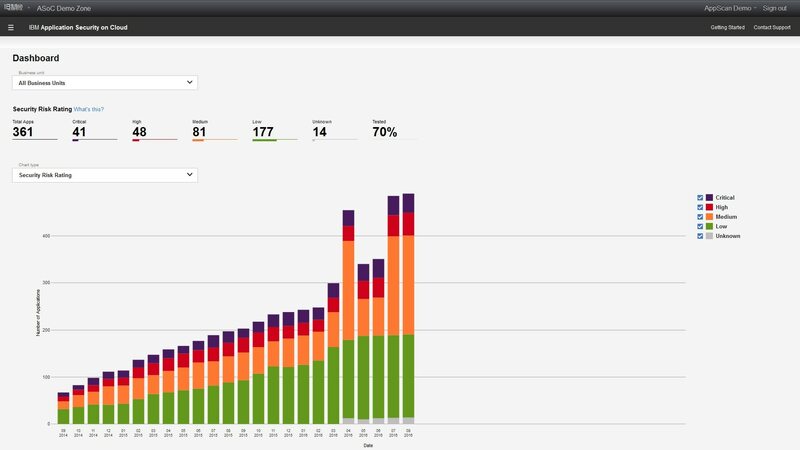 Convenient, detailed reporting permits you to effectively address application security risk, enabling application users to benefit from a more secure experience. Scans applications at the appropriate stage of your development lifecycle. 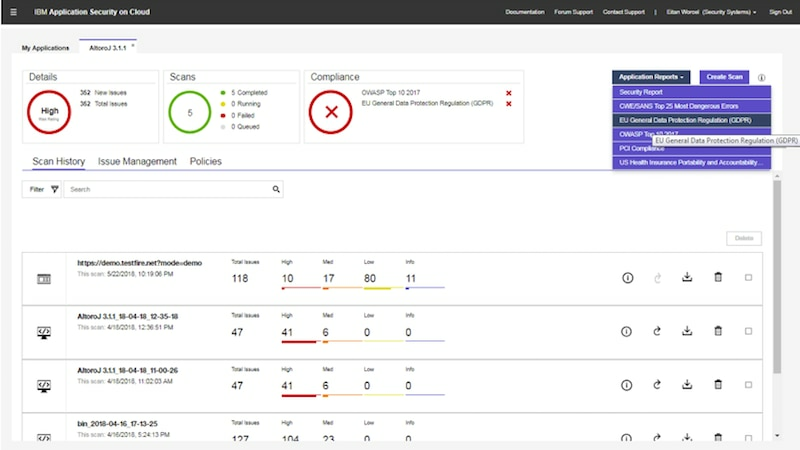 Identifies and prioritizes security risks, permitting you to focus on issues that are most likely to have a significant impact on your organization. Delivers detailed reports that provide an executive summary, identify critical issues and offer recommendations for remediation. 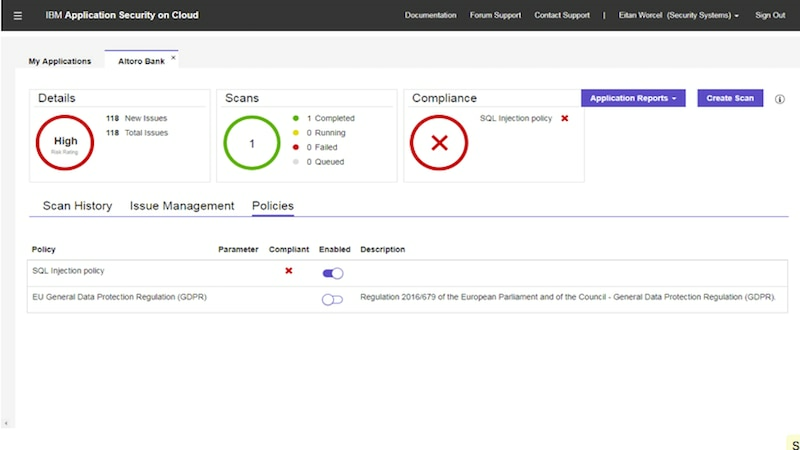 Test-drive Application Security on Cloud, and learn how easy it is to use. Purchased scans can be executed in conjunction with detailed vulnerability reporting, at a predictable cost. 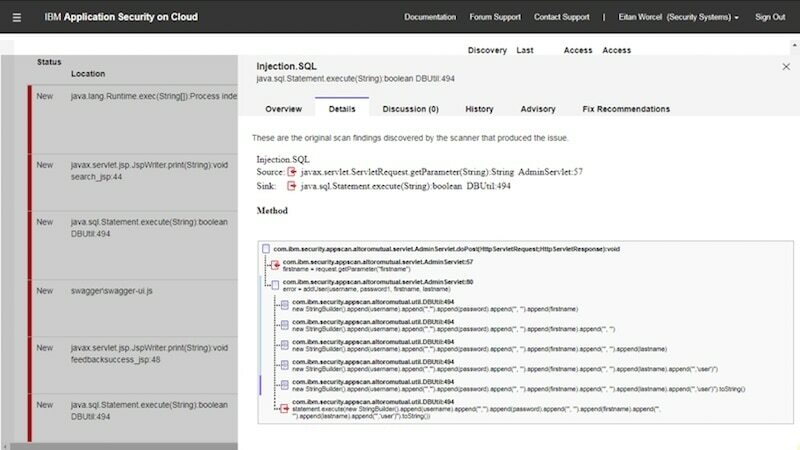 IBM Application Security Analyzer identifies security vulnerabilities in web, mobile or desktop applications and provides recommendations for the right fix. IBM's comprehensive security testing open source software solution.